The Aurora will rise 16 stories in Sunny Isles Beach. Sunny Isles Beach commissioners approved the first major condo tower west of A1A after the developer agreed to downsize the plans. Verzasca Group, a group of developers from Russia and Europe, originally planned to build 77 condos in 17 stories in the Aurora, plus a ground-floor restaurant and 162 parking spaces. After feedback from city officials and residents, the project at 17550 Collins Ave. was scaled down to 61 units in 16 stories, 135 parking spaces and no restaurant. However, it would have a mikvah, a Jewish cleansing bath. The average size of the units was reduced from 1,750 square feet to 1,600 square feet. The developer acquired the property for $10.5 million in April. It currently has a Denny’s restaurant. 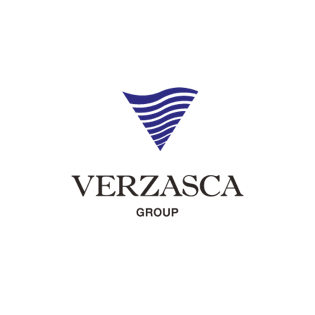 "It is more challenging but our numbers still work," said Verzasca Group Partner Tim Lobanov. "There is still a good amount of sellable square feet in the building." Units in Aurora will range from 1,500 to 2,100 square feet. They'll be priced in the upper $600,000s per square foot, which is about half of what oceanfront units cost, Lobanov said. It will likely ask for 50 percent deposits, but the details are being worked out. "You are still getting a great location," Lobanov said. "We shifted the building 23 degrees to take advantage of the water view we have through an opening between the Pinnacle and the Chateau project." Lobanov said it plans to launch sales in a few months and break ground sometime in 2015. Sunny Isles Beach is one of the most active markets for condo construction. Most of those towers are along the ocean and carry top-dollar pricing. Aurora would be across the street from the beach and is expected to be priced less than beachfront units.